Background image from en:Image:Pegasus iran.jpg. The government and treasury of the British Virgin Islands have issued their second silver bullion crown in response to last year’s very successful Pegasus bullion coin. 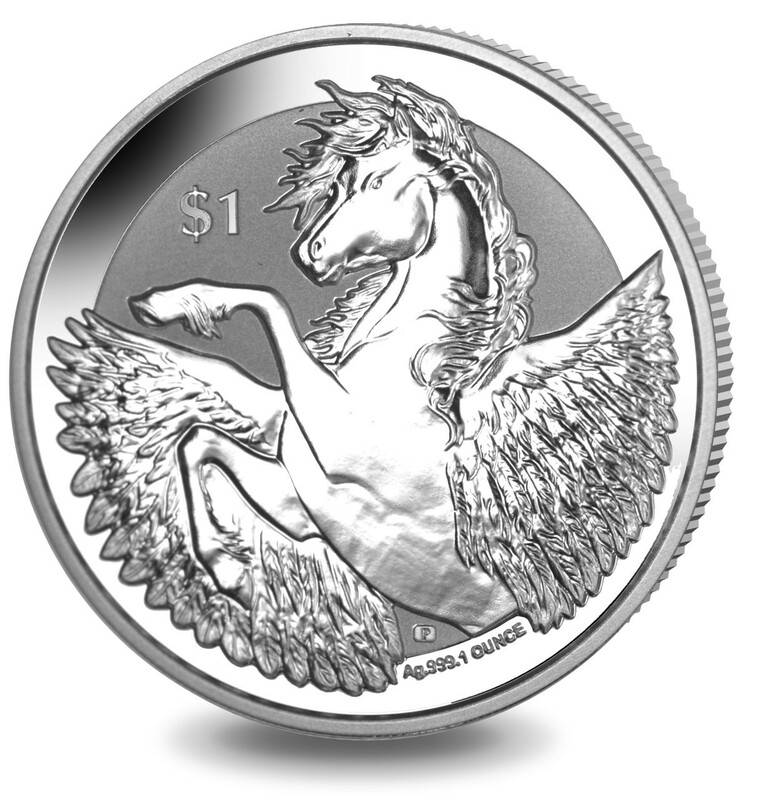 Horses have often featured on the reverse side of the coins issued from the British Virgin Islands over the years, and choosing a depiction of Pegasus seems fitting to feature on their flagship silver bullion coin. Many coins from the territory have featured horses in royal events including trooping the colour and drawing the coronation coach. Olympic equestrian events have also featured strongly, which are close to the heart of Queen Elizabeth II and the British royal family as a whole. Pegasus is one of the most well-known creatures in Greek mythology. This winged horse is usually depicted as white in colour and was always considered a good-hearted and gentle animal. Throughout his life, Pegasus remained a mysterious creature that symbolised divine inspiration, or the journey to heaven. As a reward for his service and loyalty, Zeus honoured him with a special immortality, turning him into a constellation on the last day of his life. The story of Pegasus begins when Perseus is sent to kill one of the three Gorgons — Medusa — who had writhing snakes in place of hair. It was said that anyone unfortunate enough to gaze upon her face would turn to stone. The god Hermes and the goddess Athena came to the aid of Perseus with special gifts, including a shield which Perseus used as a mirror so that he did not look directly at Medusa. When Perseus beheaded Medusa it was said that Pegasus was born from the blood of the Gorgon. Many wanted to capture Pegasus but no one could work out how to tame such a magnificent and high-spirited creature. The coin is produced by the Pobjoy Mint on behalf of the treasury of the British Virgin Islands. 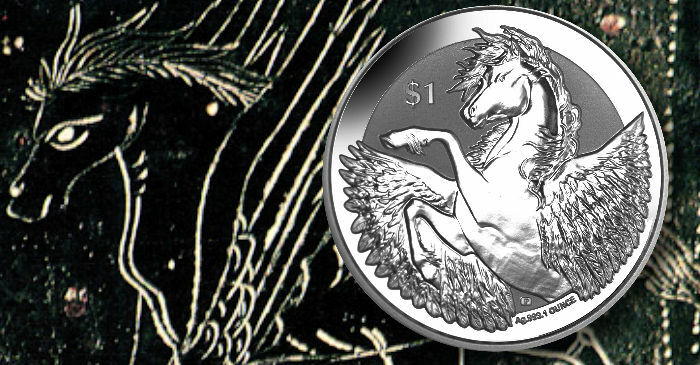 The reverse design shows Pegasus, the mythical horse, rearing up with his wings spread. The coin is struck with a Reverse Frosted finish, further highlighting and enhancing the intricate and detailed image. The obverse features an effigy of HM Queen Elizabeth II, which is an exclusive design of the Pobjoy Mint. 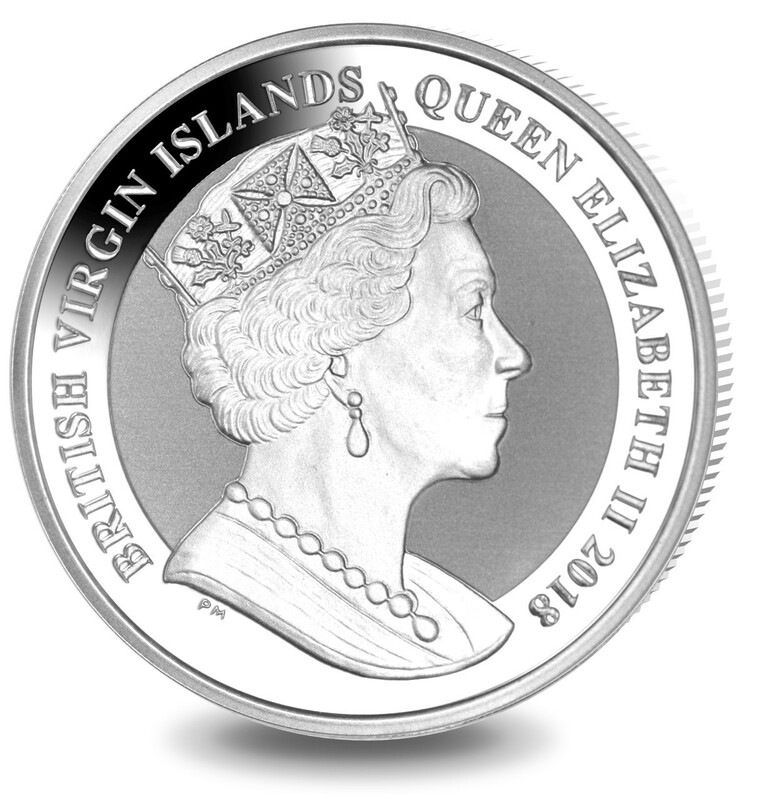 The treasury of the British Virgin Islands will issue 50,000 of the 2018 Reverse Frosted Silver Bullion coins. Each coin is encapsulated and packaged in clear vinyl sheets of 20 pieces and is also available as a single purchase. For additional information on this coin and others issued from the treasury of the British Virgin Islands, please visit the website of the Pobjoy Mint.